Erik's Choice: Of "Tipping Points" and "Black Swan Events"
Of "Tipping Points" and "Black Swan Events"
Started in on Nassim Nicholas Taleb's The Black Swan: The Impact of the Highly Improbable (2007, 2010+) and am thinking how it seems to dovetail in some ways with Malcolm Gladwell's The Tipping Point: How Little Things Can Make a Big Difference (2000) and Blink: The Power of Thinking Without Thinking (2005). Love this stuff. I'm not the only one by a long shot. In San Francisco, for example, had a fun discussion with a shrewd Filipino taxi driver about his favorite book -- Blink. Initial response. A couple of recent watershed moments seem like the culmination of long slogging culminating in sudden shifts: LGBT marriage rights (in the USA and globally) and the removal of the Confederate battleflag from government buildings in the USA. These are the result of tipping points -- not complete shocks, but still surprising after seeing only incremental change over many years. Black Swan Events seem more "out of the blue." Two examples: one, the sudden plunge in gasoline/petrol prices in late 2014 from which such prices still have yet to "recover;" two, the sudden end to a depressing five year drought in Texas just this past May (2015). The drop in gas prices was wild. The follow-up question is, how did various people and groups respond to this change? The wild spike in rain in Texas was an even bigger surprise. True, climate change models have long suggested wild fluctuations in historical climate patterns, locally and regionally. However, no one to my knowledge could or did predict with any exactness what happened in the large area in and around Texas. Indeed, it was called a "one in two thousand year event" (when in fact, due to climate change, it may become a one in two year event -- maybe). Late spring flooding in Texas was a disaster for many, but overall, such heavy rains suddenly providing a dramatic reprieve to drought conditions is worth noting and remembering in the future. Here, it's generally better to have too much "fresh" water than not enough. There is some general prediction that California might also be rained out because of the formation of El Niño, which if it materializes would provide a tipping point against the current drought, if not (because of fairly detailed models) exactly a Black Swan Event. Cool to ponder. 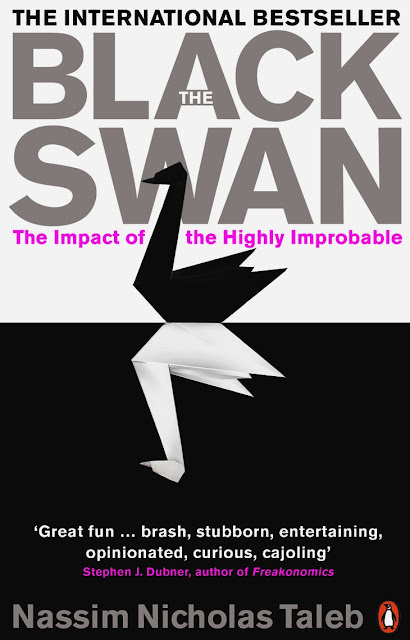 What other kinds of tipping points and Black Swan Events have people noticed lately? In more complex societies, I imagine these kinds of events have much wider impacts than they once did.